IISG’s Medicine Take-Back initiative is off to a strong start in 2016 with the addition of three new permanent collection sites. In Shelbyville, Indiana a collection box became available to residents as the new year began and two in Clinton County, Illinois starts today (Clinton County Sheriff’s Office and the Trenton Police Department). All three are located in law enforcement buildings and are open 24 hours a day, 7 days a week. These sites are designed to accept prescription and over-the-counter medicines, including veterinary pharmaceuticals, but not illicit drugs, syringes, needles or thermometers. 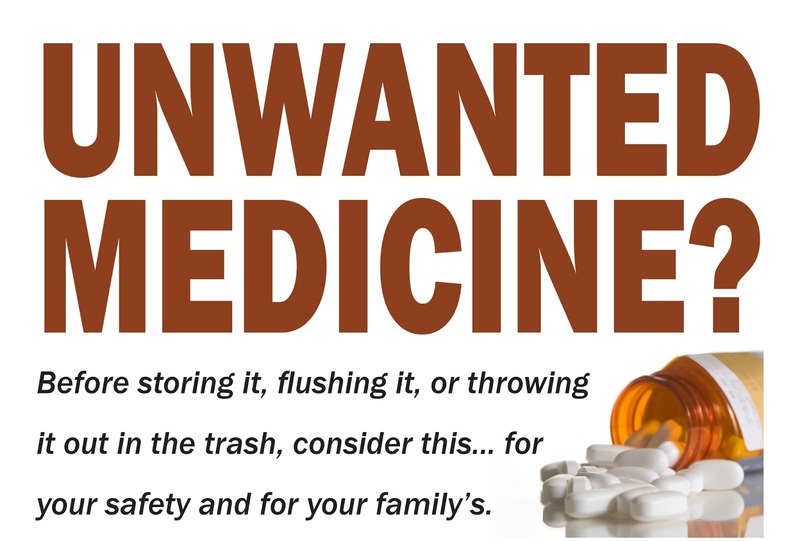 All collected drugs are incinerated—the environmentally preferred disposal method. Altogether in 2015, six new drop-off sites were initiated and almost 20,000 pounds of unwanted medications were collected from over 50 locations in the four states. IISG provides each location with the drug collection box and works with community partners to ensure the program’s success. The take-back program is a partnership between IISG and University of Illinois Extension. Storing unneeded medications in the home is the cause of thousands of accidental poisonings in children and pets each year. Flushing medications down the toilet or throwing them in the trash threatens the safety and health of humans, pets, and the environment. Recent studies have also found a wide-range of pharmaceutical chemicals in rivers, groundwater, and drinking water throughout the country. If you’re interested in starting a take-back program in your community or finding one near you, contact Adrienne Gulley.